It always makes me smile this time of year when “volunteers” show up in the garden. Not workers; folks, but the unintentional flowers that pop up here and there. Still, most welcome. The past few years there have been thrips on the gladiolus so I decided not to grow them for a while. I destroyed all my bulbs or so I thought…. and no thrips. 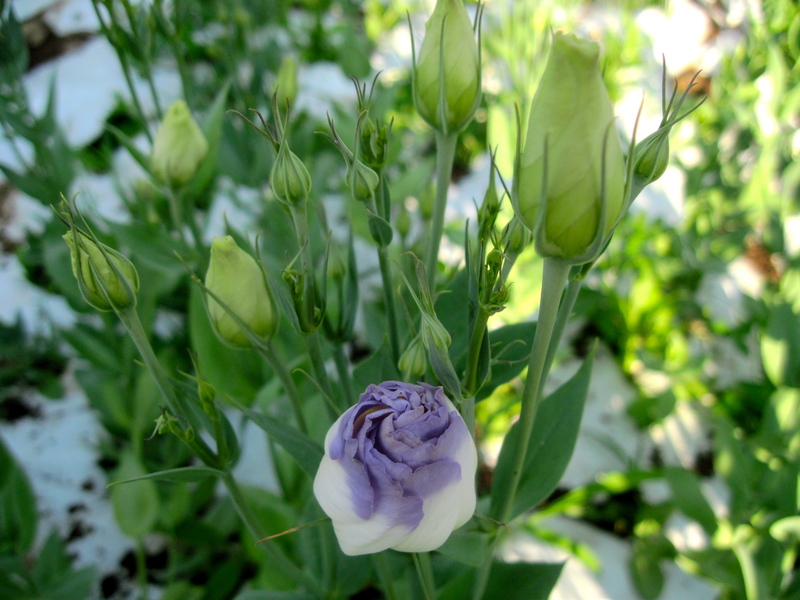 As we head toward mid-season here at the farm, Our lovely Lisianthus are starting to bloom. Blues, White, Champagne. Exceptional for wedding designs and long lasting in the vase. Tweedia, a new crop for us.. is blooming but not tall enough to put in bouquets. Pincushion flower another favorite. I first discovered this flower when in Switzerland. So many wonderful flowers, have to get back to our gardens!